After the 3 registration forms published a few weeks ago, today I took the same design and code, made some small modifications and created a multi step form that you can download for free as usual. 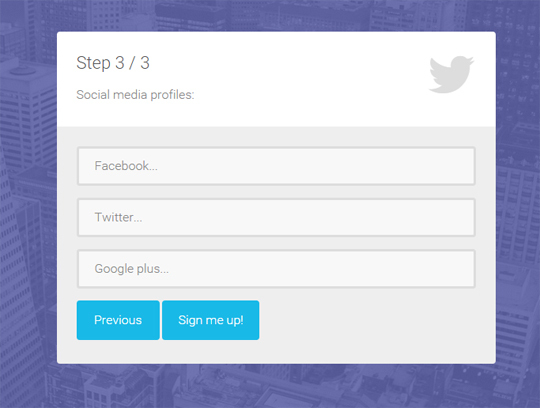 The new registration form template is responsive and made with Bootstrap, CSS3 and jQuery (and also HTML, obviously). These types of forms are often used when you need to collect a large number of data in your websites or applications, resulting in a nice and never boring user experience. 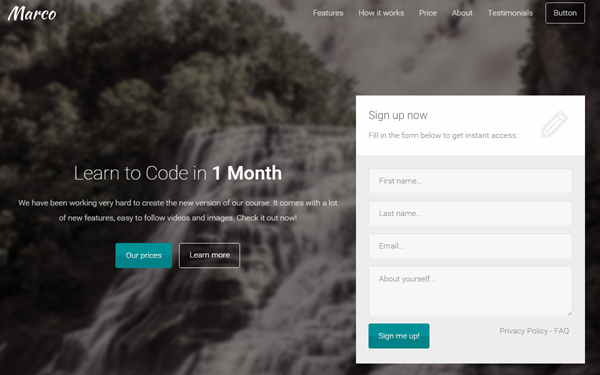 Some other features are: fullscreen background, Font Awesome icons, Retina ready, simple jQuery form validation, etc. Below you’ll find the full list of features, the live preview link and the download link. Enjoy! Use the “index.html” file to modify the HTML code. The style can be changed from the CSS files in the “css” folder (assets/css). The images are located in the “img” folder (assets/img). When you change the images, make sure you create also the “@2x” version (double size images) for Retina devices (iPhone, iPad). I’ve created a simple logo with Photoshop here and it looks good, but I think with a little more work or by hiring a logo designer, it could look even better. 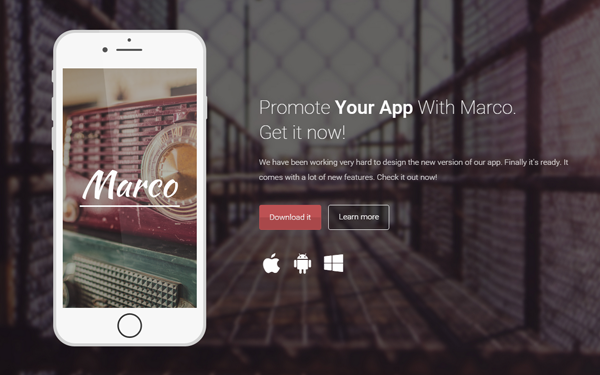 If you choose the hiring route, I recommend Fiverr, you can find some good designers there. 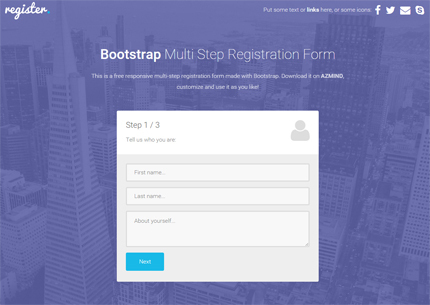 You can use this multi-step registration form template in personal and commercial projects, but you can’t sell or distribute it directly, “as is”. If you plan to use it, a link to this page or any form of spreading the word will be much appreciated. Just downloaded your creation, wich looks great. Is there an easy wayh to add file upload to the form…? and how should i do that? Thanks Pepijn, I’m glad you like it! An easy way is to Google it, learn how to do it, and then do it. have you ever heared about jquery ajax form that will do it for you with this registration. Hi this is really awesome i love what you have done. I know its asking for a lot but would you consider a step by step tutorial for this ? Thanks John! Yes, maybe I’ll make a tutorial in the future. Hi, how can I integrate it with drupal? Hi Cris, I don’t know drupal, sorry. Now, how can we go into validating fields before users go to the next step? It depends what and how you want to validate them. 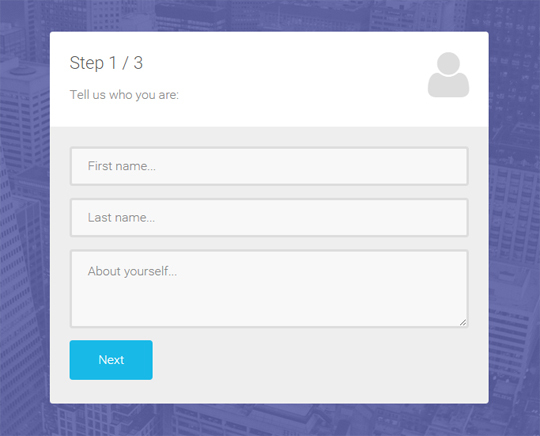 HI Anli, I’m a junior Dev Working with a bunch of different multi-step forms. I really like the style and the transitions on this pluggin. I also like that it is built in with validation. I personally like to use bootstrap fields. A) Bootstrap fields would be compatible with the JS files included or if I’d need to go in and make edits. C) How complex it would be to add additional steps. Know that’s alot to answer, appreciate your time, and project! Hi Jack. I’m glad you like the template. A) You have to make edits. Anyway, I don’t know what you mean with “Bootstrap fields”. Let me post it in a smaller comment. How do I get the validator to check and pass other types of fields like selectors and radio-buttons? You get the field value, you validate it according to your criteria, and if it’s valid you submit the form. You can search Google about how to get the value of a radio button / checkbox / select. I know this is almost a year old but anyway to add or just tell me how to make a dropdown field required.. Ive modified everything and it all works but I just cant get the dropdown to be required.. thx! I might write a tutorial about this in the next days. How do you make certain “text” fields optional on the other fieldsets? Right now they are all requiring values. Came across this today. Really sleek implementation, great work! Great work, really good stuff.. Only tiny bit of constructive criticism Id make about the form – is if you want to customise, then you really need to rewrite a whole load of the JS file.. The validator is too global and also doesn’t include support for radio buttons, check boxes etc. Furthermore, there is no support for when inputs are not required. Aside from that – great..
I’m glad you like it, Julia. Thanks for the comment and the suggestions! Yes, I know, the validator is very simple. I’ll add new features in the next version. Nice work! Would be nice to have a review step. Question – how do you make the submit button link someone (when the form is valid)? Good evening, is there a way to use jQuery Validate with its Multi Step? I did some research and still could not make the integration between the two, if that is possible will become much easier and effective way to validate the forms. If you have created something can help in research? Great Work man,Great Work.I am using your wizard in a project in aspnet,But i observed that when using controls that av AutoPostback, it keep going back to the first step. Very nice. I would like to get the value of a textinput in step1 and display it in step 2 in the form-top-left paragraph. For some reason, i cant select the target element in the second fieldset. Any suggestions on how to do so ? when I add a hidden input field the whole form stops showing. any idea? I have successfully customized it for my application. One problem I am facing is with the ‘select’ in forms. This would take the CSS settings from bootstrap.min.css, where as the other elements such as text, textarea would inherit from form-elements.css. I added the options for ‘select’ in form-elements.css, but bootstrap.min.css still takes priority. I am trying to find out where the CSS priority is set. You can use the Chrome Console to try to find why the bootstrap.min.css takes priority. You might need to add some additional classes to your select field. Or you might want to use the CSS “!important” property, though I’m not a big fan of it. If you Google “css classes priority”, I’m sure you’ll understand why this is happening. It looks like I may be the only one struggling. I have transferred the elements but my folder structure is not the same. I believe I fixed the links but the background is not coming in. I am fairly new to dev.